OYSA provides competitive soccer, age groups U11-19 and developmental soccer age groups U8-10 in the state of Oregon through its member clubs. 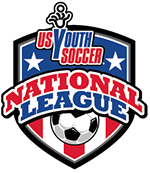 US Youth Soccer National League Northwest Conference (formerly FWRL) – Oregon teams qualify by being 1st or 2nd in league play and/or State Cup Champion. US Youth Soccer continues with birth year registration across the country. 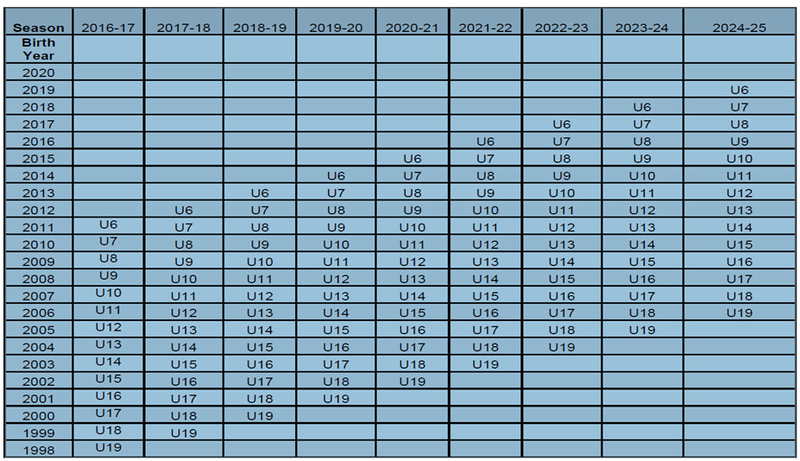 Players will be registered by the year of their birth as opposed to school grade. The health and safety of our members is a primary concern of Oregon Youth Soccer. When weather conditions are extreme enough to affect the well being of the athletes, action should be taken to minimize the risk of injury. Oregon Youth Soccer offers the following guidelines and references. Playing sports during extremely hot weather increases the risk for players to experience heat cramps, exhaustion or heat stroke. These are the most preventable type of sports injuries. Players should always be hydrated before, during and after every match. During a match where the Heat Index exceeds 90°, the game officials should provide extra breaks during play for players to re-hydrate. Coaches should be aware of the symptoms of heat stress among the players and provide shade for the players when they are on the sideline. Players are more susceptible to injuries during cold weather, particularly from pulled or torn muscles. Players should be encouraged to wear appropriate clothing to aid body heat retention yet afford adequate movement without creating a safety hazard. Warming up before entering the game is critical. Shortening games to reduce exposure time may be a consideration. Games should be called whenever lightning is in the vicinity. This is typically within a distance of 10 miles. Distance may be determined by the delay between the lightning flash and hearing thunder. Any time the flash to bang is under 30 seconds, immediate termination of the practice or match should take place and the pitch evacuated.